Dave Ramsey is a businessman and entrepreneur who accumulated a $4 million real estate portfolio, only to lose it all - and nearly everything else he owned - by making the same mistake millions of Americans make every day: he got too far into debt to get out. 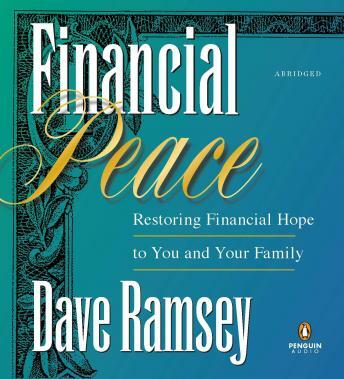 Dave Ramsey is also a Christian family man who, through the turmoil of his financial nightmare, discovered a new way of life. He shared the lessons he learned by writing Financial Peace, a simple but powerful guide that offers practical lessons on how to get out of debt - and stay out.